Trustly Casino - Play your favorite game at your favorite Casino! Nice to see you at Trustly Casino Dream Palace. As a welcome, if you pay with Trustly, we double your payment as a bonus! Register deposit using Trustly Now! At Dream Palace Trustly Casino, you can find over 0 games to enjoy anytime everywhere. Lets find out how you can claim your bonus! 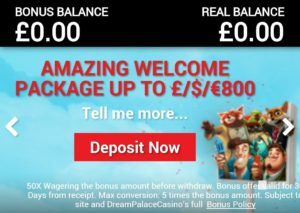 How to get your Welcome Bonus 100% up to $/£/€100 + 20 Free Spins on Shaman's Dream your first deposit! At Dream Palace, we welcome our new customers with a 100% up to $/£/€100 + 20 Free Spins on Shaman's Dream your first deposit with Trustly. For every amount deposited we are offering you a chance to participate in one of our many promotions. It is as easy as making an account, making a deposit and start playing. We take care of ensuring you get the bonus! We offer a wide variety of games and payment methods. 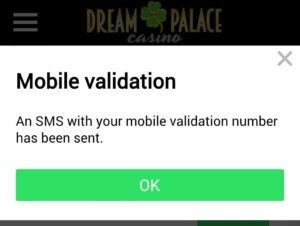 Whether you are looking to deposit by Trustly, or pay by phone bill, or pay by SMS; all options are viable at Dream Palace Trustly Casino. Register by filling in your information in the form. Be sure to enter your correct mobile phone number, we will send an authentication SMS for verification and your security. After this step a pop up message will appear. Press OK to activate your account. Be sure to check your email for a confirmation. Archive it well as it contains your username! Almost there, just some last things! 2) Choose any addition deposit codes. 4) Find your Country from the list. All set! You can now choose to play over 0 games with your bonus! Pick your favorite and enjoy!